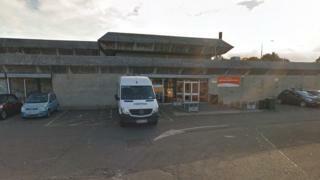 Plans to build a velodrome as part of a new cycling hub in the east of Edinburgh have been pushed forward - despite a funding gap of £441,000. The new cycling facility will be built at the Jack Kane Centre at Hunter's Hall Park - less than three miles from the former Meadowbank velodrome. That was shut in September 2017 ahead of the stadium closing. The new velodrome will be designed to be accessible for beginners, disabled cyclists and children. Unlike the indoor Sir Chris Hoy Velodrome in Glasgow, which has a 45 degree bank, the Edinburgh velodrome will be tilted at just 30 degrees - meaning there will be a minimum speed for cyclists to use it. The Hunter's Hill Park velodrome would not only be used by elite cyclists, but targeted for all levels of ability. It will be constructed out of Tarmac, rather than the timber velodrome at Meadowbank, which was only usable for about 80 days every year as it could not be used when damp. The first step in refurbishing the Jack Kane Leisure Centre will be to provide 3G football pitches. Work could start before the end of the year. There are also proposals to build a BMX pump track. A planning application is still to be determined by the council's development management sub committee. The overall project faces a £441,000 funding gap and a bid for a grant from Sportscotland has been lodged. Edinburgh Leisure is "reluctant at this moment in time to take a financial commitment towards the cycling element" of the project. Phil Darby, Edinburgh Road Club president, said: "Edinburgh Road Club welcomes the building of a new cycling facility which would enable members and the public access to a traffic free cycling environment on which to train, race, enhance their skills and enjoy bike riding. "Its shallower banking will enable younger riders to use the track without the risk of sliding off, be grippy while wet, while floodlighting would allow outdoor sessions to continue during winter evenings." Donald Wilson, Edinburgh's culture and communities convener, said: "After appraising all options and locations, the council is looking to create a brand new outdoor velodrome in Hunter's Hall Park where the Jack Kane Sports Centre and Community Education Centre is based. "I am determined to see us build the best velodrome we can with the funds we have available and we will be seeking additional financial support from other sources."